I have to move some things and decided to let go this wonderful Owari Sukashi piece. 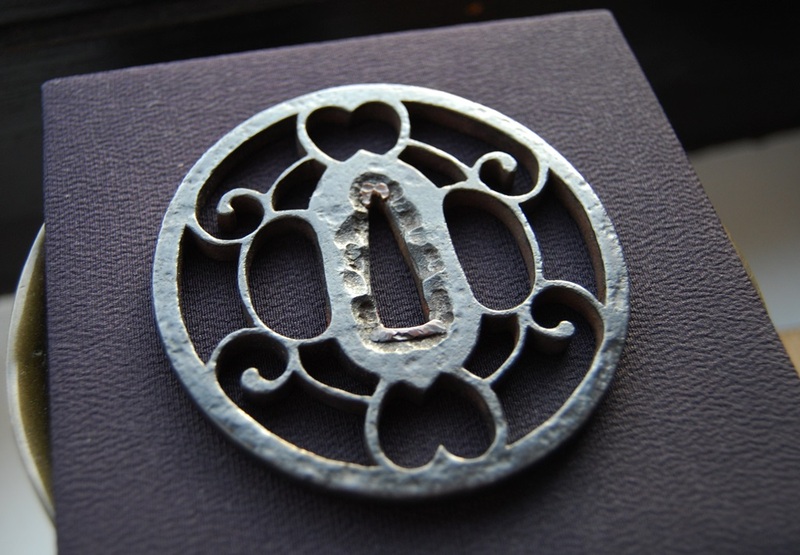 It dates from the (late) Muromachi period and its design is of Warabite, or curling bracken shoots. 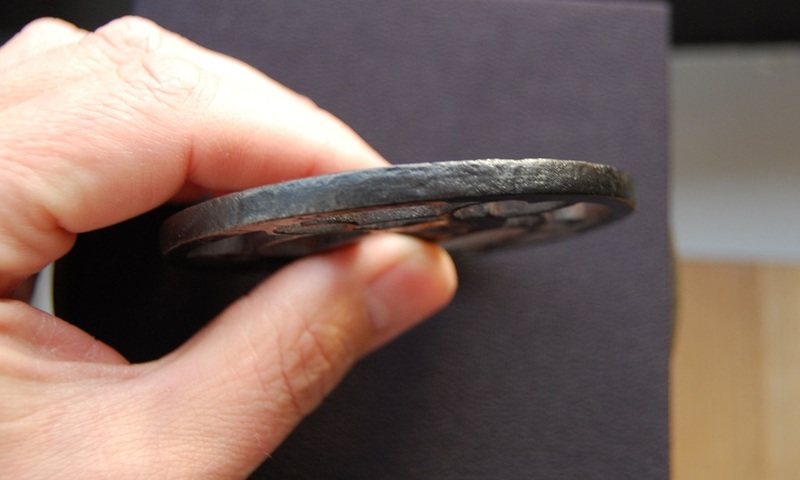 It measures 8.1cm in height, 7.9cm in width and its thickness is 0.6cm. 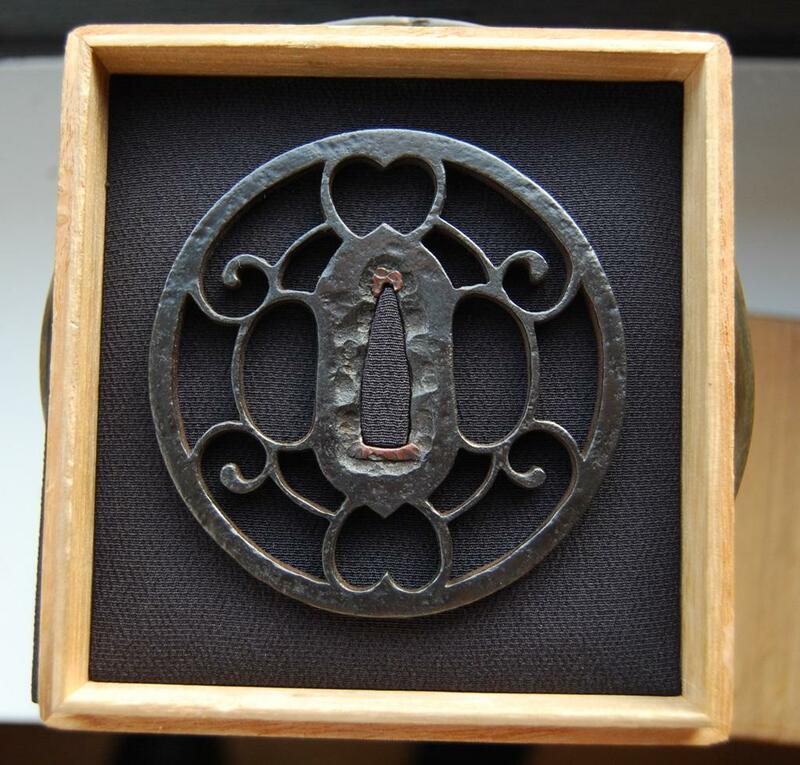 The Tsuba comes in a custom fitted box. The price is 950 EUR incl. worldwide shipping (Paypal fees extra). 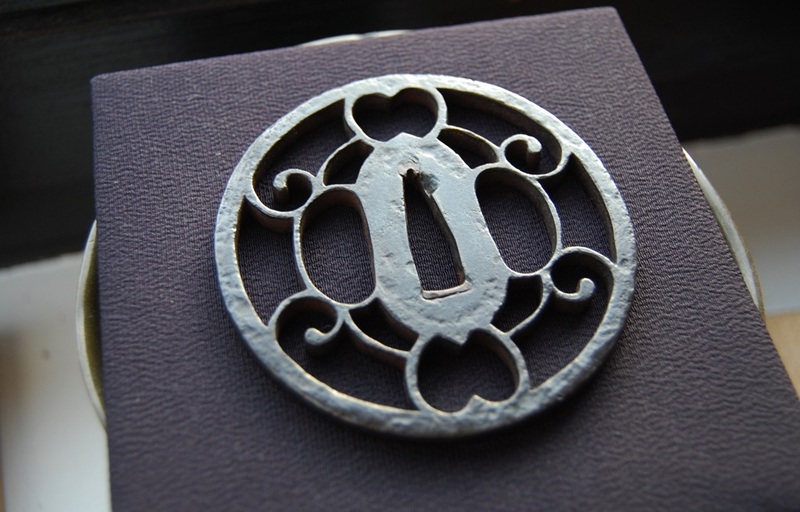 What a beautiful tsuba!!! This is a true steal - I cannot believe that this has not been sold within minutes! Though studying mostly ko-kinko and ko-goto these days, I've had the chance to study several good Owari this past year. It would have been interesting to study this one amongst them. Color is a bit darker than the Momoyama ones. 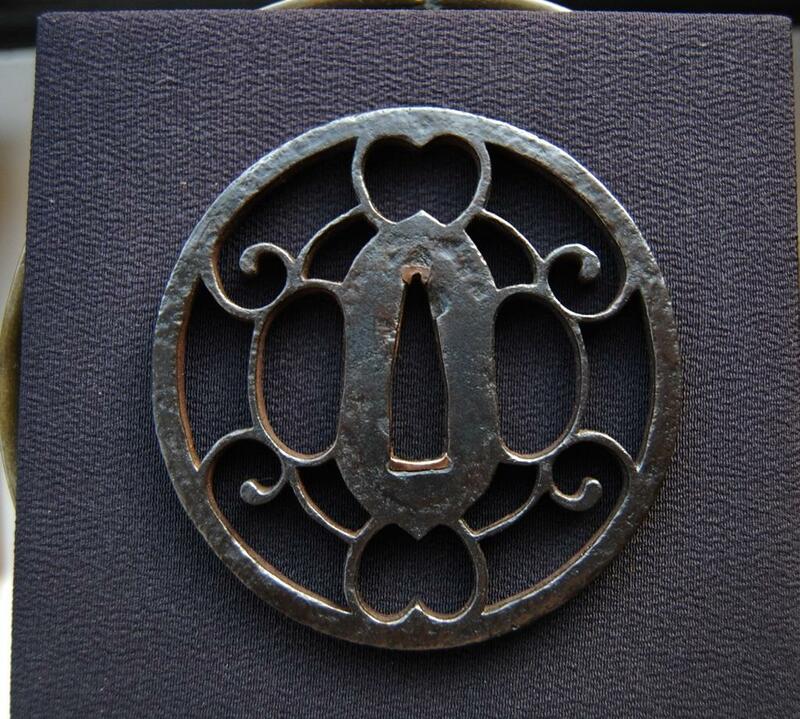 I am very interested to buy this piece. 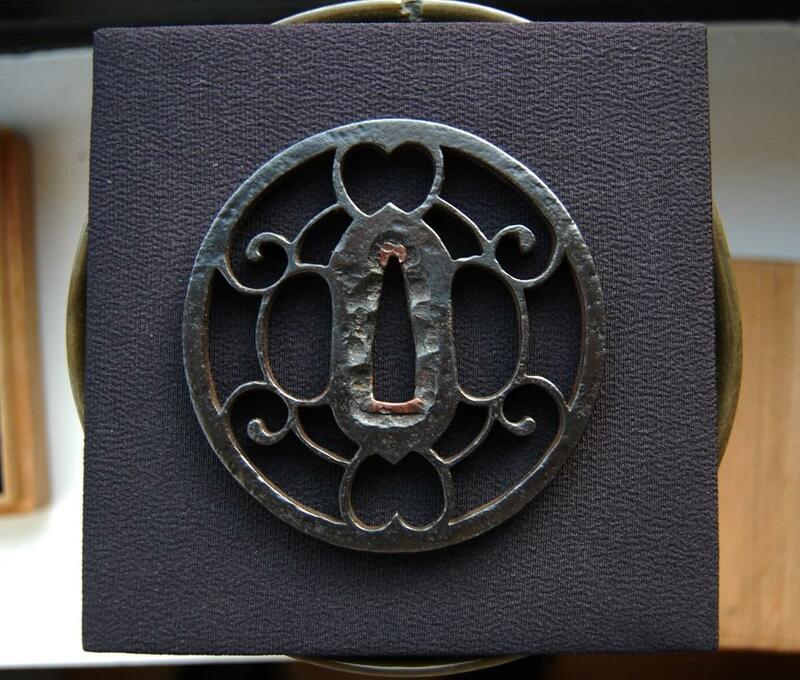 the Tsuba has been SOLD.